We respect the environment through our INTEGRATED PRODUCTION. Olive oils antioxidants have been shown reverse of disease-related memory deficits. 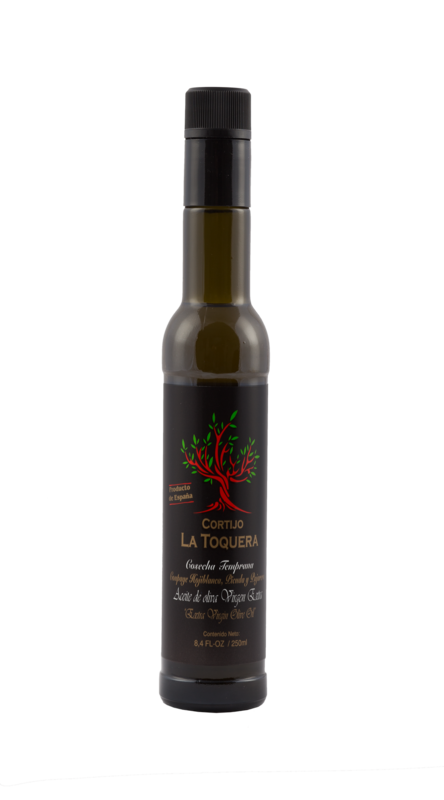 The health benefits of olive oil include lower cholesterol levels in your blood. Our integrated production respects our alies (auxiliary insects) while maintaining a vegetation cover to favor wildlife and prevent erosion. We start in mid-October, when the olive is at its bests, and grinds in less than two hours. Our centenary olive trees located in the Córdoba Subbética and its climate make our AOVE has unparalleled nuances. 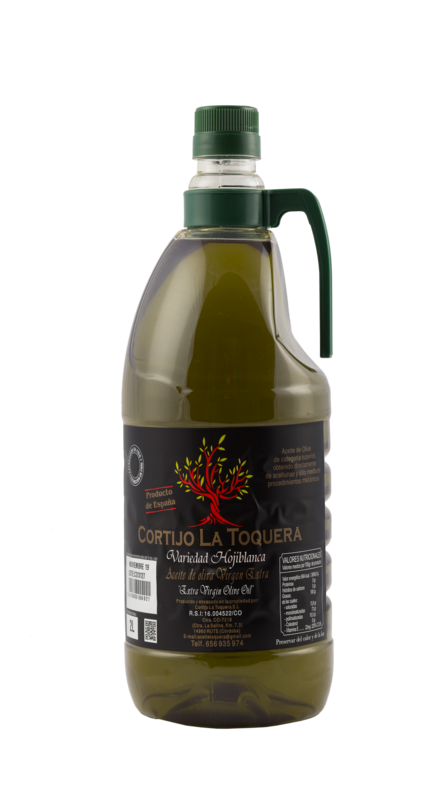 Discover our method of growing "Integrated Production" of our olive trees, one of the most respectful with the environment, as it is collected and transformed into our Liquid Gold. 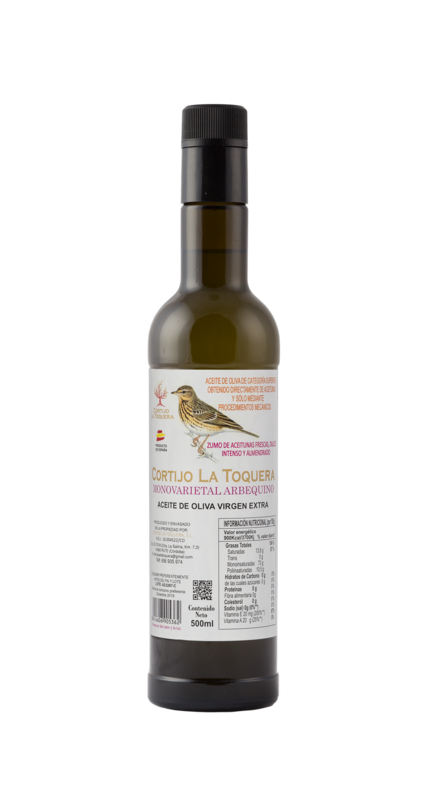 (October - February) We finish with a breakfast "MOLINERO"
What better detail for your event than giving a bottle of the best EVOO with a personalized label for the occasion. If you have always dreamed of having your own brand of oil, now is the time. Contact us and make your dream come true. Chefs can choose the oil that best matches their cooking. Giving it the possibility that its oil sea aromatic, as spicy and bitter as you want. Coupage: Hojiblanca, Picuda y Pajarera. Frutado verde intenso. Notas a cascara de plátano, tomatera y pimiento picante. Entrada en boca dulce, amargo que va disminuyendo y aumenta el picante medio-alto. Notas balsámicas a menta y albahaca. Frutado medio de aceituna en envero. Dulce, amargo y picante muy equilibrados. Notas herbáceas, plátano y manzana. 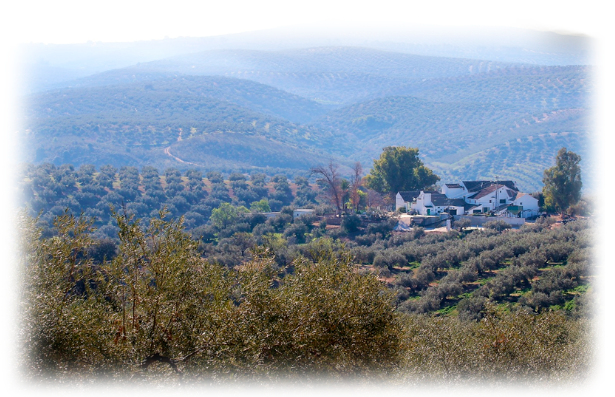 In the Cortijo de La Toquera, dating from the seventeenth century, located south of the Subbética cordobesa, in the municipality of Rute, where the best olive oils of the world are produced, we continue to cultivate the centenary olive trees inherited from our ancestors with the wisdom and good work that they did not teach. 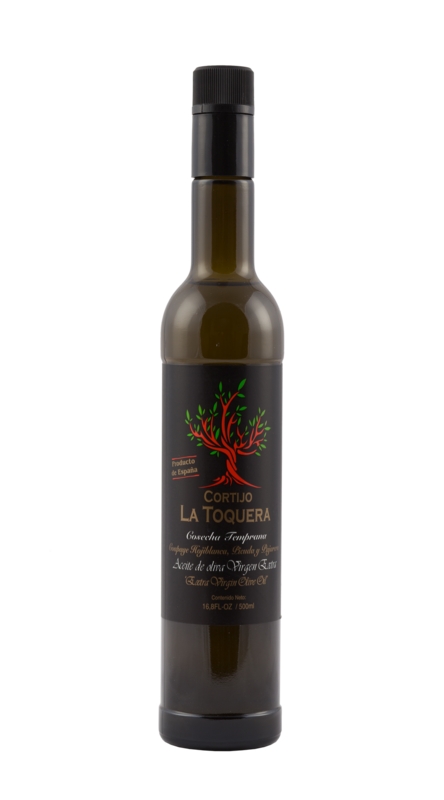 The result is an Extra Virgin Olive Oil, totally natural and handmade, cold extracted to preserve the Polyphenols and aromas that make it unique and unmistakable. To do this, we select the best areas of our farm (Solanas) and pick the olives right in the veraison (change of color) to get maximum fruity and polyphenols from our AOVE. Thanks to the little time elapsed between the harvesting and grinding (3h. ), We obtained an acidity of only 0.17º. All this process together with the varieties of our farm (Hojiblanca, Picuda and Pajarera) these last ones exclusive of the zone of the Corbett Subbetica provide unique and unparalleled aromas. 09:00 - 20:30 : Mon. - Sun. Cortijo La Toquera ha sido beneficiaria del Fondo Europeo de Desarrollo Regional cuyo objetivo es mejorar el uso y la calidad de las tecnologías de la información y de las comunicaciones y el acceso a las mismas y gracias a Presencia web a través de página corporativa, Soluciones de comercio electrónico, Soluciones de gestión integral (ERP) y Dinamización de redes sociales. Esta acción ha tenido lugar durante 2017. Para ello ha contado con el apoyo del programa TICCámaras de la Cámara de Córdoba”.